Jools is joined by Coldplay, who debut songs from their sixth album Ghost Stories, the Black Keys, Sharon Jones & the Dap-Kings, Damon Albarn, and Aziza Brahim. 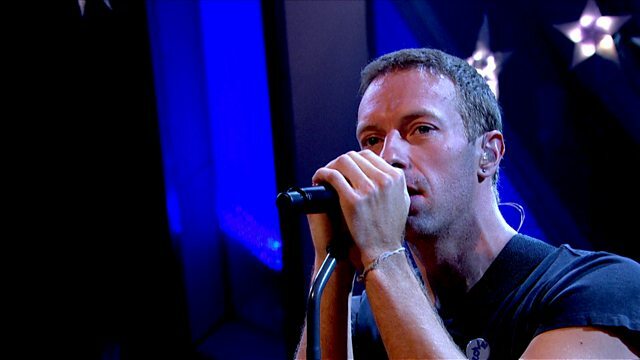 Joining Jools on the third show of the series are Coldplay, the bestselling and world-famous British group who return to the show to debut songs from their much-anticipated sixth album Ghost Stories. US rock duo Dan Auerbach and Patrick Carney, aka the Black Keys also return to the show to perform a couple of tracks from their upcoming eighth album Turn Blue which sees Danger Mouse return to producing duties. American soul and funk band Sharon Jones & the Dap-Kings also perform. Their recent album Give the People What They Want was scheduled for release last August but was delayed when Jones was diagnosed with stage II pancreatic cancer. She has completed her treatment and has bounced back with a vengeance, with the band getting the best reviews of their careers. Completing the line-up is Sahrawi singer Aziza Brahim, born in 1976 in a refugee camp in the western part of the Sahara desert, where her mother had settled in late 1975, fleeing from the Moroccan occupation of Western Sahara. At the age of 11, she received scholarships to study in Cuba, like many Sahrawi students at the time. She wanted to study music, but was rejected. She left school and returned to the refugee camps in 1995, pursuing her musical career. She performs a couple of tracks from her Soutak album.